Robometricschool. 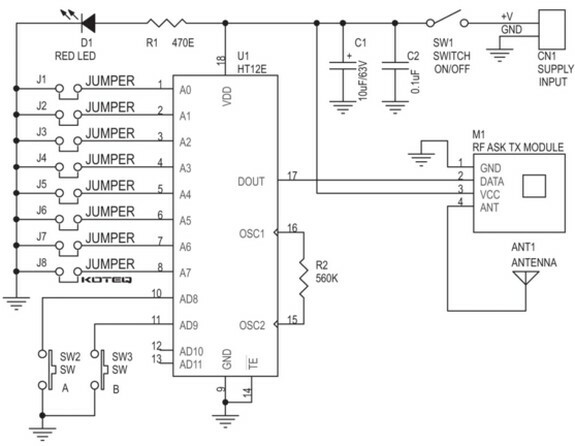 - Here is circuit schematic of RF Remote DC. RF Based DC Motor Direction Controller project provides an easy way to control the direction of your DC Motor connected to the receiver. This project has been design around HT12E and HT12D encoder / decoder chips from Holtekmments. For more information about Circuit Schematic RF Remote DC Motor Direction Controller you can read more from the original source using link [here].